← Lydia Made Me Do It! 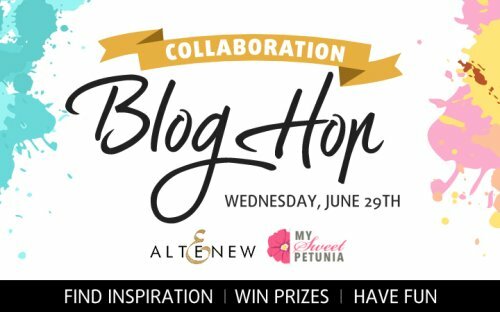 Welcome to the Altenew / My Sweet Petunia Collaboration Blog Hop! If you’ve come from May Sukyong Park‘s blog you in the right place! If not you can start at the beginning of the hop at the Altenew blog. Make sure and comment along the hop…there are TWO Mini MISTIs from My Sweet Petunia and THREE $30 gift certificates from Altenew up for grabs!! !Winners will be picked randomly from the comments across all of the blogs in the hop. Winners will be announced on the My Sweet Petunia and Altenew blogs on July 3, 2016. Good luck!!! First I stamped the sentiment from Halftone Thanks using my Mini MISTI. Next I stamped the outline of the flower from Painted Poppy. I finished my card with watercoloring and added a cute twine bow. Exclusive offer from My Sweet Petunia! 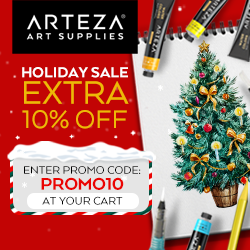 Get 10 % off your entire order at www.altenew.com with code ALTENEWLOVESMISTI at check out. Offer ends on July 01 at midnight EST. ‘ This is an exclusive offer for My Sweet Petunia fans/followers/readers to celebrate our collaboration! Wow!!! This entry was posted in All Occasion, Altenew, MISTI Tool, Stampin' Up!, Stamps, Thank You. Bookmark the permalink. beautiful card. misti makes everything look so easy! Wonderful watercolor card. So soft. I really like your card. It’s crisp and clean! Thanks for the chance to win. the card is amazing and the background is awesome! I just recently picked up the Painted Poppy stamp set so your card is a wonderful inspiration – thank you! What a sweet card! It would be wonderful to win a Misti! Great card!Anf thanks for your photo!Finally a understood what mini misti is!!! What a lovely and gracious card. So pretty with the slender stemmed poppy! I love your card, it is so clean looking. What a great tool the Misti is and the Altenew stamps are wonderful. Thanks for this opportunity to enter to win. Beautiful card. Thanks. I love Altenew stamps. A Misti would really help placement of the layers. Thank you. Hooray for the MISTI AND ALTENEW! I loved your really beautiful, subtle background and simple and clean creation! Thank you for sharing your inspiration! Love the simple look of this card, put yet powerful. Thanks for sharing. What a pretty card, love the simplicity. Love the poppy! So pretty! The choice of Altenew and the Misti makes inspiring cards. Your card is beautiful!!! I love using my misti!!! Its wonderful!! great hop!! Love that poppy. Altenew and MISTI are a perfect match. I love this card and the Watercolor- style. Great card using the poppy!!!! Beautiful BG behind your poppy! Oh My Gosh! I love, love this card. Poppies are my favorite! Beautiful card! I love the Poppy Stamp and you did an awesome job water coloring! Thanks for sharing! Wonderful card! This painted poppy is beautiful! Beautiful card! Love that poppy! That poppy is one of my favorite poppy images. I love how your card came together! Lovely watercolouring ! 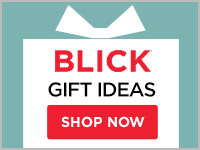 I love the halftone sentiments from Altenew! Such a pretty CAS card. Great design and I love the soft colors. That background is just beautiful. Makes you lovely poppy and the great sentiment pop right off the card. By the way, thanks so much for your sweet comments on my blog. Love it! Watercolor in is beautiful. Very pretty and I love poppies, that thank you stamp is always sold out when I have the money to buy it and in stock when I don’t, maybe I will catch it at the right time. Wow. Your card is gorgeous. Thanks for sharing. So simple, but so sweet. Thanks for sharing! This poppy is beautiful. Wish I had more time to craft! Lovely card! 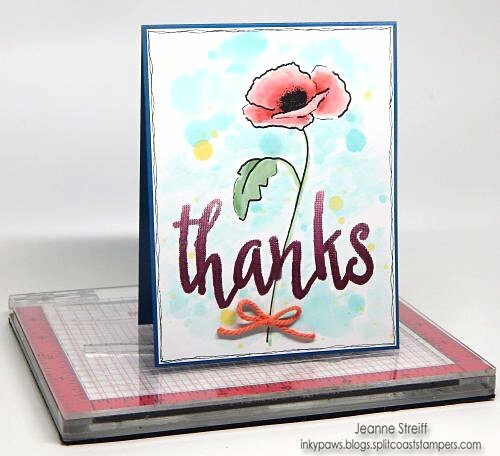 Beautiful poppy design, and I love how the MISTI lets you re-stamp to get a really solid, bold image like the sentiment! And… get it straight! Fantastic tool! Beautiful card! Love that background. Beautiful card, i love the use of watercolor. Nice card. I love the soft color of the poppy. Thanks for sharing. Lovely soft colors and a nice CAS design. Oh, oh… love this stamp, card and that background! Beautiful! I need to get that poppy stamp set! Thanks for the chance to win! wonderful and so beautiful card!!! Such a lovely clean and simple card. The delicate flower is such a great image. I love the poppy stamp and the Thanks stamp. Very nice. Simple and CLASSY! love this card. Such a great card, Jeanne! Thank you for sharing. Thank you for sharing and inspiring all card markers out here. Thank you for sharing and inspring all card makers out here. Pretty card. Love how soft the colors are. So pretty, thanks for the inspiration! How Pretty and so quick!! Bold AND Beautiful! Painted Poppy is one of my most favorite sets!!! Fabulous card! Love the stamp, and the water colouring. Wonderful card and I love the soft colors of your flowers and background. Love this card and that poppy stamp. I love the yarn bow! What a nice little touch! mahalo for sharing! great card. Love the background, sweet card! Love the Altenew Halftone stamps!!! Such a cool look. Pretty colors and clean and simple. I love your card. The poppy is beautiful. Thanks for creating and sharing such a beautiful card! Great card. Your work with watercolor is excellent. Poppies bring such joy and your card shares the joy. that poppy stamp is one of my favorite Altenew stamps – I just made a set of cards for a friend using my MISTI – love both – and love your card! I love poppies! Great colors. Beautiful card Jeanne! Love the watercoloured backdrop you created for the pretty bloom. Thanks for the chance to win. Lovely card and watercoloring! Thank You for sharing along in this awesome blog hop Altenew & MISTI ♥♥♥ them! Beautiful card!! I definitely need a Mini Misti! Would love to get the painted poppy. Pretty! The Misti makes stamping those big sentiments so easy! Beautiful card! Thanks for sharing and giveaway. Lovely card; like how you coloured the poppy. That’s a super design! Thanks for sharing. 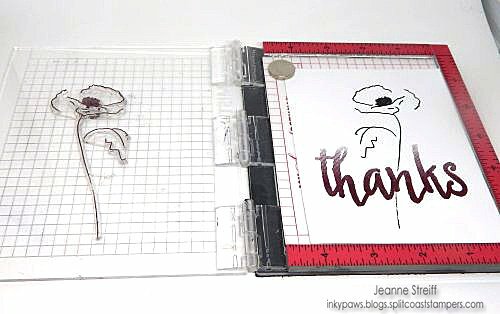 I love the poppy stamp set and you used it so beautifully and simply. Very sweet card…love the single flower. The water coloring accent is so soft and pretty. Such a beautiful card, I love the Painted Poppy stamp set, it is one of my very favourites. What a fun card and a fun way to make it. Love the flower, it looks great! I love the simplicity of your lovely card. Thank you for sharing. I love the simple flower and the bold statement Jeanne!! Very pretty! Love the classy CAS style! Oooo!! Soooo Pretty!! Love this poppy stamp!! Love the simplicity of your choices. Sometimes those cards are the most appealing. Oh the simplicity is so stunning. WOW Jeanne, this is beautiful! Beautiful card. The misti is so helpful for getting those nice crisp edges. Thanks! Misti looks great for two steps stamping!! I love the card and thank you for the great tutorial! Love the poppy – my favourite flower to paint. Thank you for showing all the different stamps being used on one card so we can see that that is another reason we ALL NEED a Misti!! Gorgeous card and love the splash of colors!! A very special thanks for Altenew to team up with MISTI for this blog hop. They are a natural pairing for creating a professional end product. Your poppy card is just wonderful and I thank you as well for sharing your creativity! You’re the best! Love the single poppy with the Halftone sentiment. I really like your water coloring on your card! Very pretty. I love the background colors. Love the poppy flower. A single flower yet so beautiful. Thanks for sharing! So elegant and CAS! Love the single poppy flower and that gorgeous halftone sentiment. Poppies are so beautiful and breezy, the background on the card makes the poppy well pop! Absolutely GORGEOUS card!!! Love how the easy lining things up with misti….no more crooked sentiment ever! Lol!!! Beautiful, stunning card! I would have never thought to use a part of the flower like you did. It is just stunning! Love these companies. Thanks for the great card. Two of my favorite things…Altenew stamps and my MISTI! Love that poppy! Such a lovely card! Fabulous quick & easy card! The Misti just makes the stamping process so much easier & accurate! love your watercolouring. Such a pretty card Jeanne. Love the lovely poppy flower… the chunky greeting looks perfect. love the watercolor and colors of this card! I even like how the card looks without the watercolor! Beeautiful card! CANT WAIT TO GET MY MISTI! Hooray for the Misti. It does live up to its’ name. Can’t say enough about Altenews stamps either. A match made in heaven. Great card, nice clean lines, thank you for sharing your card. love that poppy. this would be a great card set! What a lovely card! Your watercoloring is beautiful. Beautiful card. Love the simplicity of the card and I sure the MISTI makes a big difference. That card is beautiful! I like the halftone thanks. TFS!!! super pretty – love the watercolor look. Well done. Your card is awesome! I love that Poppy stamp. beautiful card. . . love that poppy! I love simple cards with large wording. Beautiful card!! Love the halftone thanks!! This hop is incredible. I love my original MISTI. I use it every day! And I am falling in love with Altenew products. I’ve purchased several now. Thanks for the opportunity to win! Love your watercoloured background – gorgeous! The Misti surely looks like it would be very beneficial. Such a pretty, clean and simple card using one of my favorite flowers and stamp sets… Painted Poppy. With just watercoloring, you can get a wide range of looks. Then multiply that by using pencils, alcohol markers, pastels, etc… love the versatility. Thank you for sharing your creativity and the opportunity to win a prize. After seeing this fabulous card, I know I need a MISTI! Beautiful card. I love the watercolor and the poppy stamp. I adore thr Painted Poppy, and the card has such understated elegance!! Love how elegant this card is. The poppy looks really gorgeous! Love your watercoloring…it is a beautiful card! Wow! Beautiful card. I love this stamp set… must get it soon. Thanks for sharing. Beautiful card, I Love poppies! fabulous card, MISTI makes it so nice and easy to place your stamp. Beautiful floral card Jeanne. I love that bold Thank you that starts it all. Thanks for sharing. What a lovely thank you card! Thanks for the inspiration and for the opportunity to win! I love,love, love this card!!!! Just my style!! Awesome card, loved the soft colors! I love the design of this card. Perfect match of delicate and bold. Beautiful card, love the soft watercolor look. This poppy stamp set is so pretty. Poppies, one of my favorite flowers. You made a gorgeous card with it, the poppy just looks awesome in that blue background. Such a simple but beautiful card. Thank you for sharing. This card is stunning. Gotta love how the Misti works. Love your card! I use my Misti all the time. Beautiful card, love the colors you used and the little bow is adorable. Beautiful card! I love the pretty flower! It’s the perfect thank you card! What a CAS beauty! Love the images and your watercoloring. Simply beautiful! Sometimes less is more!! I love this! TFS! Beautiful card, the wool bow is very interesting touch. Lovely card, Jeanne! Thanks so much for participating in this exciting hop and giveaway and for sharing your talent with us. A simple and pretty card. I especially like the background! This would make a great set of cards to give as a gift. Awesome watercoloring! So very pretty…. Love your Painted Poppy card! Thanks for sharing! That halftone Thanks stamp is so fabulous. Love your watercolour background and your sketchy pen outline around the card edge. Pretty card!!! Love that poppy stamp, and your water colored background is just right. TFS. Love the single flower and the background is awesome! to have to ever give it up. Great card! The flower is so pretty! I love the unexpected addition of the yarn bow! Jeanne, An elegant, classy card. I love the look of water colour. Beautiful card. This card is so beautiful. I smiled when I first saw it. Wow! Altenew stamps are just the prettiest!! And, using the MISTI makes it so easy to get fabulous results in no time. Love your poppy card, Jeanne. Quick card and love the use of the misti! Beautiful, yet simple. Love it! I love your card. It’s simple but makes a statement. Love the soft watercoloring on your card. Ohhh! I need that poppy! Love this. Simply beautiful card! Love, love, love the poppy! Nice and simple the way I like them. Love the little bow at the bottom, amazing card! Beautiful watercolouring, I love your finished card! What a lovely card, Love petunias and water coloring. would love to have a Misiti. Thanks for sharing your technique and card with us! Love poppies, and they make the cutest thank-you cards. Yours is awesome, Jeanne! Beautiful card, and I love the background. I see a Mini Misti in my future. These cards are great. Love the single poppy with sentiment. Great stamps and coloring make a great card! Beautiful card. The bow really adds to it! I’ve been putting off getting the Painted Poppy but you just made me want it again. Love your card. I just got my MISTI last week and I’m really enjoying it. Love the simplicity of the single poppy. Beautiful card! But how can you go wrong with such adorable stamps and an awesome tool like a Misti?? I love poppies and the sentiment looks like it’s hand painted must be easier getting things to line up with the Misti, it’s a must have tool! This card is so gorgeous and beautiful!! Love the way you did the halftone happy!! Such a wonderful card – you are amazing and so talented!! Beautiful card! The sentiment is perfect for the poppy stamp! Lovely card! I’d love a MISTI to get such precise stamping! The poppy is so cheerful. Love it. Absolutely gorgeous!! Love the clean elegant design & that beautiful flower!! Like that halftone stamp and the watercoloring. I love the simplicity of this card. The Misti is a great tool. What a super cute card! Love the one-layer ones. TFS! Lovely and soft watercoloring, love the poppy!!! I really loved your card desiign, especially due to the simplicity of the card, it makes such a wonderful impact. Thank you for sharing and the beautiful cards. Such a pretty card…Very lovely! I really like what you did with the background. Very nice card!! Love that poppy stamp. Loved this card and I love that MISTI and stamp! What a great idea again. One of my favs is Altenew’s Painted Poppy. Never thought to use only the outline. Hmmmm Will try it. Like how you showed that you got good placement stamping with using the MISTI. Will have to remember that. Thanks for showing your talent. Beautiful card! Love the large thanks sentiment! Simply yet lovely! Thanks for sharing! I love the watercolor background. What a delightful card, Jeanne! Thanks for sharing with us! Simple, elegant and beautiful! Love it! I love the watercolor background & flower, it’s such a soft touch! I love the simplicity of this card and the use of the misti for lining up the stamps perfectly! Beautiful work! Beautiful card. I lvoe how you combined the flower with the sentiment. Like that stamp! Cute card. Such a pretty card! Love the composition! Thank you for sharing! Very pretty card! Love the water colored background! Beautiful watercolor effect. I am dying to het a MISTI!! Beautiful card!! Love how you did a single flower with the large sentiment! Also love the water colored background! I have the poppy stamp but haven’t used it yet. Your card is a beautiful inspiration! Really pretty watercoloring! I love the background! I have this stamp and really like the way you’ve used it! The colors are so soft — water-colored background for the simple poppy stamp! Love the simplicity of this card. Beautiful. There is nothing prettier than a poppy! THANKS so much for sharing! Very nice Clean and Simple card! I just love this poppy stamp and the card you made. Thanks for inspiration! Love the flower & watercolor!! Beautiful!! Wow!! So pretty!! I love the poppy set!! Cute card and nice way to use the Misti. Very nice card pretty watercolor! Thank you for sharing! Love the simple but classy look of the poppies. Sweet card!! That MISTI is soooo helpful!!!! Love your project and how the Misit made it perfect! I can see how the Misti made this card easy to stamp. Thanks for the inspiration. So beautiful! Love the softness of the flower! Great card! I love the softness of your colors. Beautiful card. Thank you for sharing and being part of the giveaway. Love the water coloring on your card! Soft and delicate, pretty! LOVE your ELEGANT design and DELICATE colours!!! I love Altenew stamps and can’t get enough ideas for using them! I love your ideas and of course the MISTI is one of the best tools EVER made!!! Thank you!!! You have inspired me!!! Lovely Card and thanks for the chance to win something I really need for my new Altenew layered stamps!!! This is so lovely from the soft colors to the doodled edges! Beautiful card – love the watercoloring! Pretty card, love the flower with the big thanks. It looks like misti makes stamping easy. Thanks. I really like the addition of watercoloring…. compliments the flower very nicely. So nice, like the watercoloring. I love th poppy stamp set ; this card is beautiful . Nice flower with the sentiment over it! Love the halftone Thanks set! Very pretty card. Your water coloring looks great. Sweet and simple! I love it! simple bur elegant, love the idea. I like your card. The Misti looks like an amazing tool. Your watercoloured poppy is stunning!